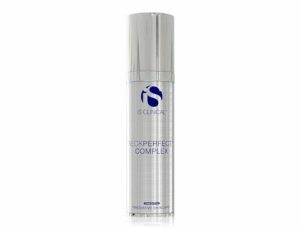 Powered by targeted botanicals and extremely powerful antioxidants, NECKPERFECT COMPLEX transforms your neck, jawline and décolleté to appear more lifted, tightened and defined. This revolutionary age-defying formula gently exfoliates the skin to diminish the appearance of fine line and wrinkles, while dramatically improving skin tone and texture. With continued use, the neck and décolleté appears visibly smoother, contoured and sculpted for a more radiant, youthful-looking complexion. Purchase today and begin the 12 week process to improve your sagging necklinew. 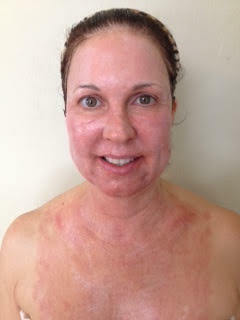 This week we are learning about acids that are used on your skin and why in the world would you use them. Yesterday, we learned that glycolic acid is an exfoliant and is used to deliver other ingredients into your skin. Today, let us look at LACTIC ACID which is derived from milk, fruit, vegetables and some plants. It is a milder form of alpha hydroxy acids and one that is a moisturizing. It is much less irritating to sensitive skin than glycolic because it has a larger molecular structure and penetrates the skin much slower than glycolic. Lactic acid is a natural component of your cells and can stimulate collagen production. Lactic Acid will smooth out the appearance of large pores and lightly improve acne scars. Lactic Acid will also aid your skins barrier function and improve the water barrier properties by increasing ceramides and glycosamino-glycans (natural moisturizers). You will find LACTIC ACID in many skin care products ranging from light peels, moisturizers, serums and cleansers. Get ready for a mega-moisture boost with Circadia, #Oxygen RX Facial, your skin will be smoothed to perfection. This Oxygen Facial, Created by Dr. Pugliese of #Circadia Skin Care, is formulated to generate a measured and controlled amount of oxygen to the skin ensuring maximum benefits while minimizing the risk of free radical damage. This treatment can be used on any skin type and I have found it to be excellent for anti-aging and acne management. This is a solid state oxygen treatment that does not use hydrogen peroxide or gas wands. Instead, oxygen is actually generated on the skin by an enzyme action. The end result is clear and luminous skin with a feeling of firmness. It helps to decrease redness and stimulates collagen enhancing cells. Extractions included. #skindeepgj.com, #facials, #springbreak On special this week only 3/23/15 – 3/27/15 for everyone on Spring Break $25 off. Reg offered at $135. Stimulate #collagen production and enhance cell growth while reducing the appearance of hyperpigmented skin with Rejuven-A by #Sanitas. Rejuven-A is an anti-aging treatment formulated with Retinol, CoQ10, collagen stimulating peptides and Vitamins C and E. Rejuven-A enhances cell growth, improves skin elasticity and reduces the appearance of fine lines and wrinkles. This light, gentle formula contains Retinol, a mild, yet effective form of Vitamin A that is kinder to all skin types than Retin-A which can cause irritation. Safe for even sensitive skin, Rejuven-A hydrates and helps reverse damage caused by sun exposure and the passage of time. I am Jo Ann the owner of SkinDeepGJ.com in Grand Junction Colorado. 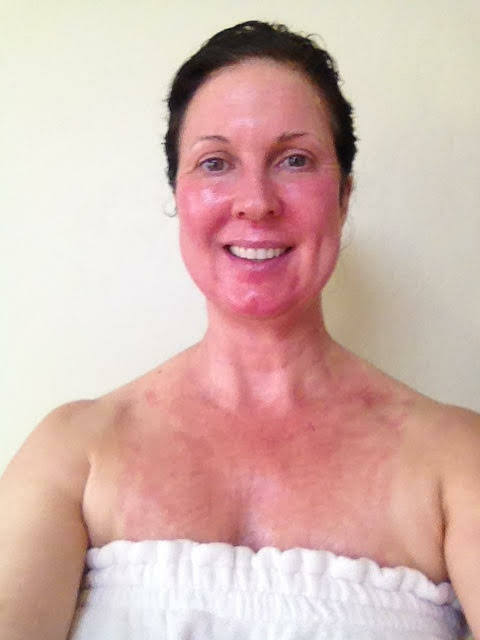 I am a 52 year old female with aging skin. 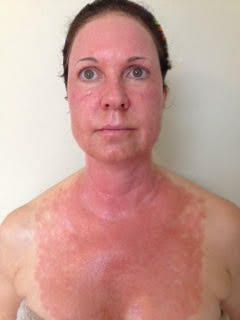 Please join me over the next 10 days to see what happens as your skin heals from a CO2 Laser Resurfacing. 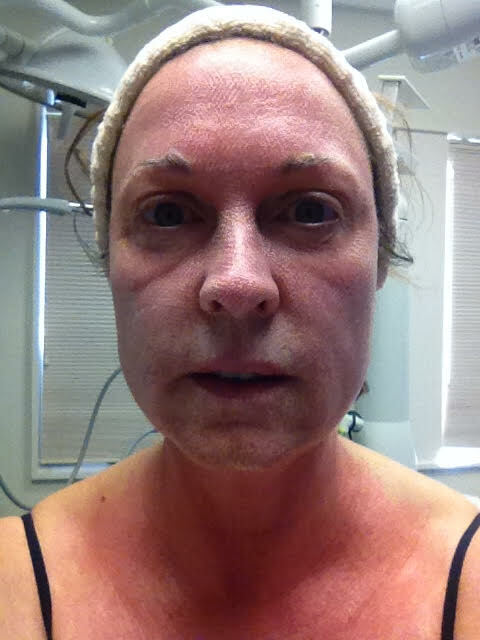 Day 10 photos of post CO2 Fractional Laser Resurfacing. 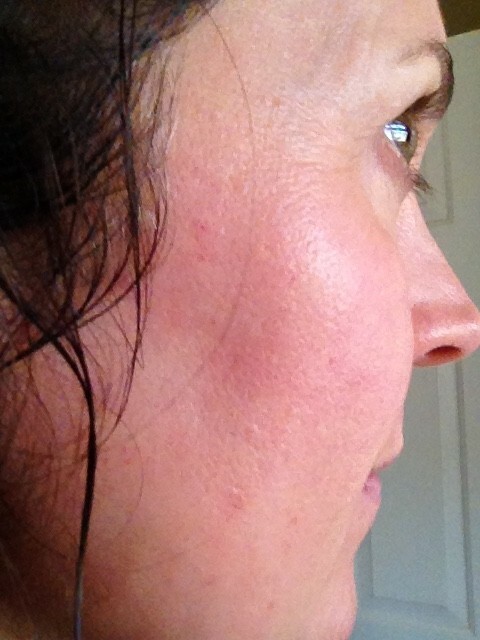 There is a huge buzz in the skin care industry about stem cells in skin care and it is used for anti-aging. Let us learn what and why about these ingredients before you spend you hard earned $. Google the words “human stem cells skin care” and you will see more than 3 million search results. But when it comes to topical skincare products, the discussion of stem cells is really about growth factors, cytokines and chemokines. Some are grown in the laboratory and others are found in stem-cell-conditioned media. Cytokines and chemokines are signaling proteins, released by cells, that serve as messengers and affect the behavior of other cells. Cytokines, in particular, often regulate inflammatory responses. You can see today the redness has diminished greatly. The LED Red Light treatment makes a big difference post procedure. How am I taking care of my skin now? The itching and peeling are irritating to say the least.